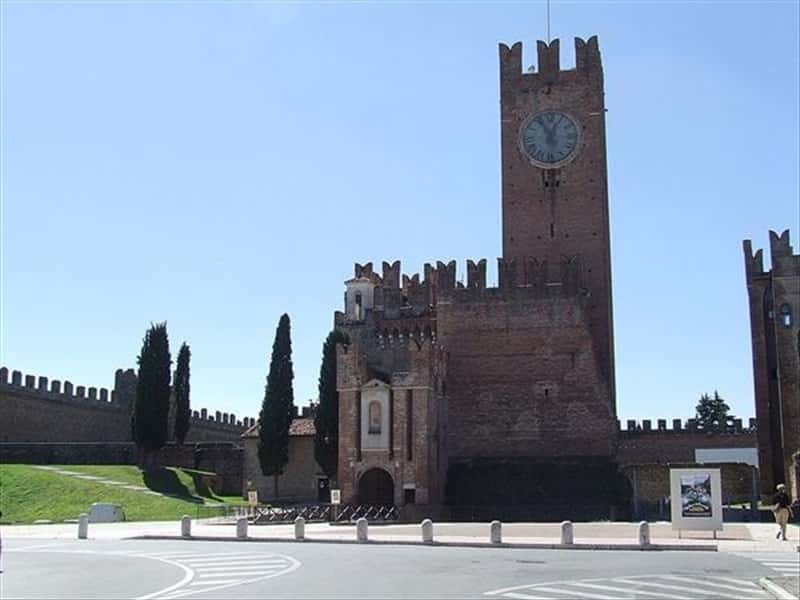 Villafranca di Verona is located at 20km from Verona and it crossed by the river Tione and is on of the most populated cities of the Province. It was officially founded on March 09th 1185 as a fortified bulk to defend the area from the raids of the Mantovani, which were their arch-enemies. The area was inhabited since the Bronze Ages, evidenced by the excavations of a tomb with grave goods. At the times of the Roman Empire the city was a military camp. In Via Postumia, one of the city's main roads, there is a monumental inscription of the I century A.D., entitled to Tiberio. Due to its strategic location on the major road connections, trading became an important part of the local economy. In 1578 the Republic of Veneto honoured the city with the rights to authorize a weekly market, which helped Villafranca to grow and become one of the main cities of the South-West Verona area. After a short period under the Napoleon dominion, the city, after the Treaty of Campoformio, was taken over by the Austrians. Of major artistic and architectonic interest are: the Scaligero Castle, emblem of Villafranca, built in 1199 with a small church entitled to the Holy Cross; the Oratory of San Rocco, edified in XV century to thank for the recovery from the pestilence between 1478-1480; the Church della Disciplina (or della Visitazione), with an important Baroque style façade; the Cathedral of the Saints Pietro e Paolo, a '700 copy of the Church del Redentore of Venice; the Palazzo Gandini-Bugna-Bottagisio, building where in 1859 Napoleon III and Francesco Giuseppe undersigned a peace treaty; the Church of San Francesco dei Padri Cappuccini, with its rich Library of prints of '600 and '700; and the Oratory of San Giovanni della Paglia, built in XV century on the ruins of another previously built church, which probably is the one mentioned in Shakespeare's "Romeo and Juliet". This town web page has been visited 54,380 times.